Keep Calm and Carry On is more relevant today than it ever was. The perfect T for any high pressure situation. 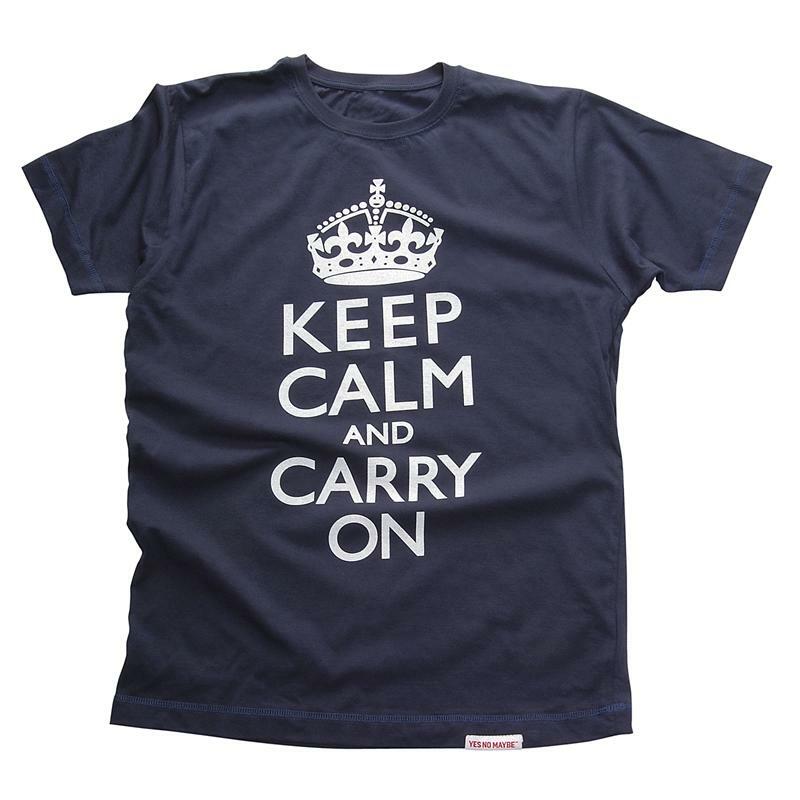 The artwork on your high quality 100% cotton T comes from a vintage poster showing the inspirational meme “KEEP CALM and CARRY ON”. Printed by HMSO (Her Majesty’s Stationary Office) near the end of the war, and re-discovered in a British attic many years later. We sourced our poster many years ago from Barter Books — the home of the original World War II “Keep Calm and Carry On” poster. 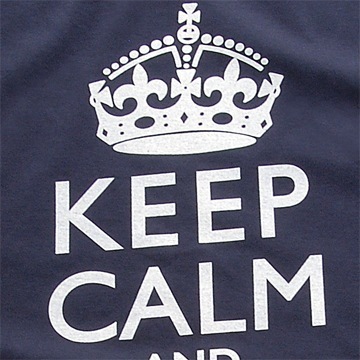 There are no plenty of Keep Calm and Carry On copycats out there… so remember who makes the original and best. 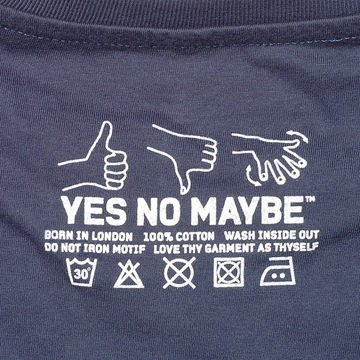 Check for a White and Red Yes No Maybe™ label to be sure.